The collection is a true blend of skate culture and fashion, fusing the unique values of the allied brands through a timeless drop. 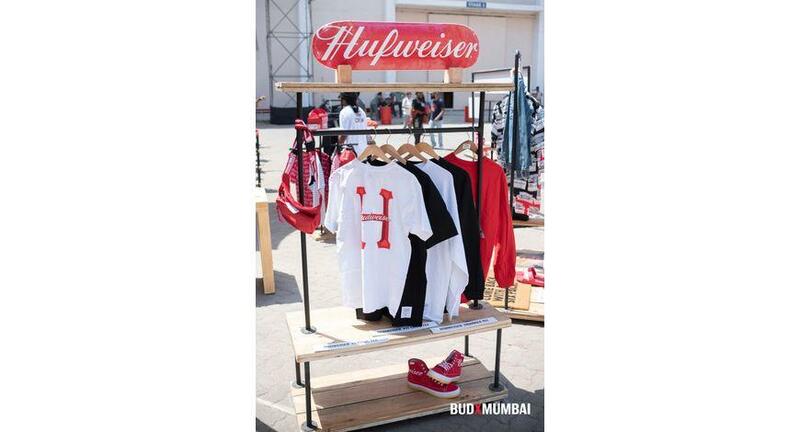 Budweiser Experiences is back with their second drop of the year and this time it’s in collaboration with the leading global skate and streetwear brand, HUF. Following the international success of this iconic collection, the brand is all set to celebrate skate culture in India through the launch of this limited edition capsule. The collaboration features the HUF Dirtbag Crew spin on Budweiser’s classic script, bow-tie and label designs across a range of tees, hoodies, hats, button-ups, a retro-sportswear anorak and a vintage trucker denim jacket. The brand hosted a larger-than-life activation at BUDXMUMBAI, uniting Indian skating mavens, the likes of Gautham Kamath and Atita Verghese, to truly bring to the fore the budding skating phenomena as it exists in the country. The gathering witnessed an eclectic fashion showcase featuring real skaters adorning the classic pieces from the collection. To add to the fervor, skaters present were seen performing staggering tricks on especially designed ramps stationed at the venue, reveling in the liberating spirit of the sport.